The Sterling pound today dropped below 2-week lows in the early London session as investors priced-in Brexit uncertainty ahead of a crucial meeting between Theresa May and the European Commission President. The GBP/USD currency pair dropped to new 2.5-week lows following the Bank of England‘s interest rate decision in the mid-European session. The GBP/USD currency pair today dropped to a low of 1.2855 following the BoE rate decision before rallying to a high of 1.2997 on Mark Carney‘s balanced comments. The currency pair was in a consolidative phase during the Asian session before falling below its previous 2-week low in the early European session driven by Brexit jitters. Investors were waiting to find out whether PM May got any concessions on the Irish backstop issue from Jean-Claude Juncker. The cable crashed to new lows after the BoE’s Monetary Policy Committee released its monetary policy decisions and the bank’s quarterly inflation report. The MPC kept interest rates at 0.75% and its asset purchase target at £435 billion, which was expected. The pair’s crash was triggered by the comment that the negative effects of Brexit had increased. The cable quickly recovered after BoE Governor Mark Carney outlined a balanced optimistic approach by the BoE in the face of the Brexit uncertainty, which placated investors. A retracement by the US dollar also contributed to the cable’s recovery. The cable’s future performance is likely to be affected by Brexit headlines and geopolitical events given tomorrow’s empty UK and US dockets. 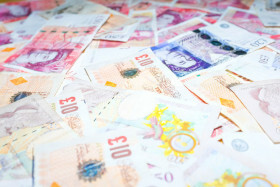 The GBP/USD currency pair was trading at 1.2974 as at 14:54 GMT having rallied from a low of 1.2855. The GBP/JPY currency pair was trading at 142.38 having risen from a low of 141.12.